This text was originally published in the February 2016 edition of ‘Educational Technology Solutions Magazine’ and has been modified to suit this post. According to recent figures from the USA, the Chromebook has quickly became the best selling device in Northern American educational markets and is continuing to grow in popularity (see here). But are Chromebooks really a panacea for the ever growing and ever evolving educational market? Or are they merely a fad destined to burn out in the years to come? 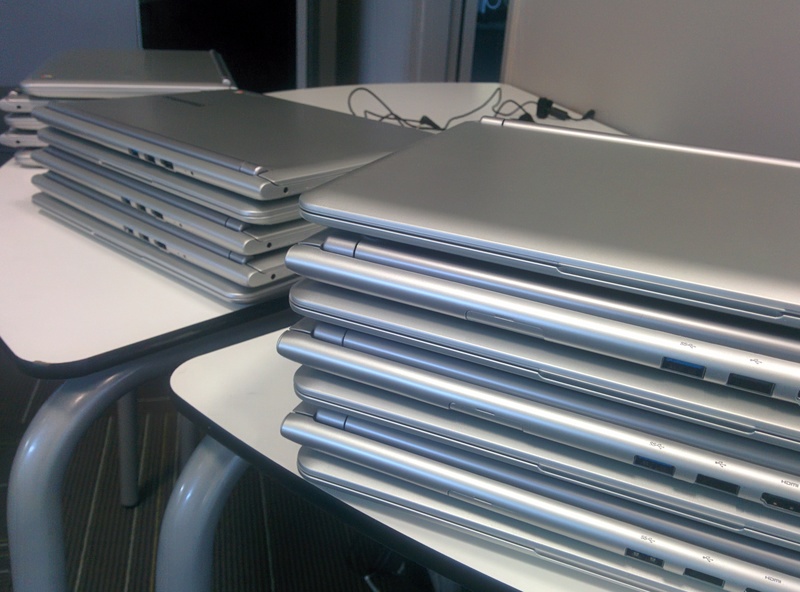 (Netbooks, we are looking at you). 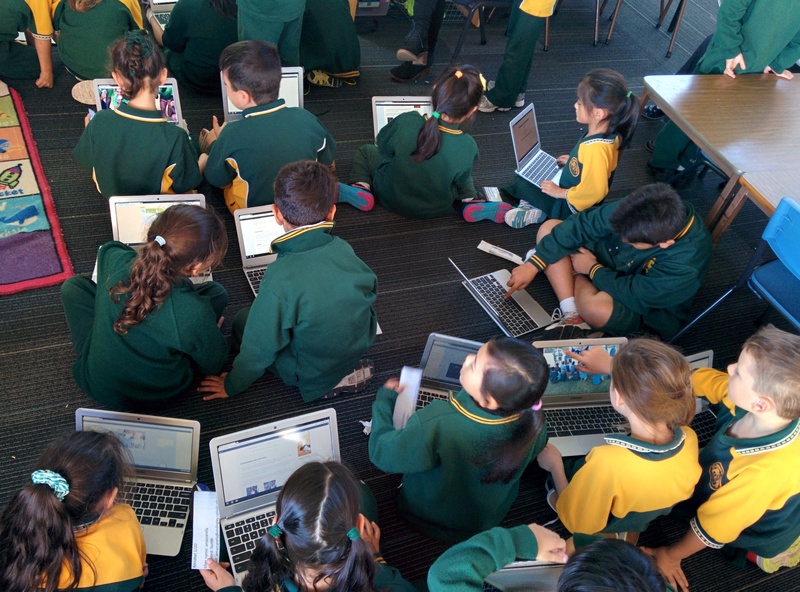 And what should schools consider before dipping their toes into the Chromebook realm? A Chromebook is a laptop of a different breed, one which runs Google’s web-based Chrome operating system. At the core, a Chromebook is designed to be used with an internet connection with most applications and data residing “in the cloud” which is accessed through the Chrome web browser. The first Chromebooks to go on sale were manufactured exclusively by Acer and Samsung. Announced at the 2011 Google I/O Conference to much fanfare, they haven’t quite gained traction in the consumer market. This is a different story in schools; where tight budgets exist, and when it comes to technology expenditure, bang for buck is paramount. To date, customers from the education market have formed the most common type of user for Chromebooks. Big names like Dell, Toshiba, ASUS, Acer, Lenovo, and Hewlett Packard are competitively manufacturing a variety of Chrome devices to satisfy the market, with some companies producing up to 3 different models. The consumer here wins, spoilt for choice when it comes to size, power, form factors, warranty support, and accessories. But under the hood, the principle of the Chromebook remains the same; they all run Google’s Chrome operating system, rely almost entirely on cloud-based storage and apps, and – most importantly for schools – cost between $300-$400, much less than a tablet or traditional laptop. They come with USB slots to support an array of devices, integrated web cameras, headphone/microphone jacks and HDMI display ports. Some manufacturers even offer cellular LTE connectivity, touch screen capability, Gorilla Glass screens, rubberised edges and anti-spill keyboards to last the distance in children’s hands. Popularity for the device is picking up pace around the globe, like in Malaysia where the national school system utilises Chromebooks for 10 million students in their primary and secondary schools. Their efforts of integrating the web through the Chromebook and Google Apps for Education forms part of their national plan to reform its educational system (see here). Chromebooks merge perfectly with Google Apps for Education, which is now used by more than 50 million students and teachers around the world. The productivity suite, which includes already popular apps such as Docs, Gmail, Calendar and Drive, also includes Google Classroom which allows students and teachers to collaborate on homework and other assignments in real-time. 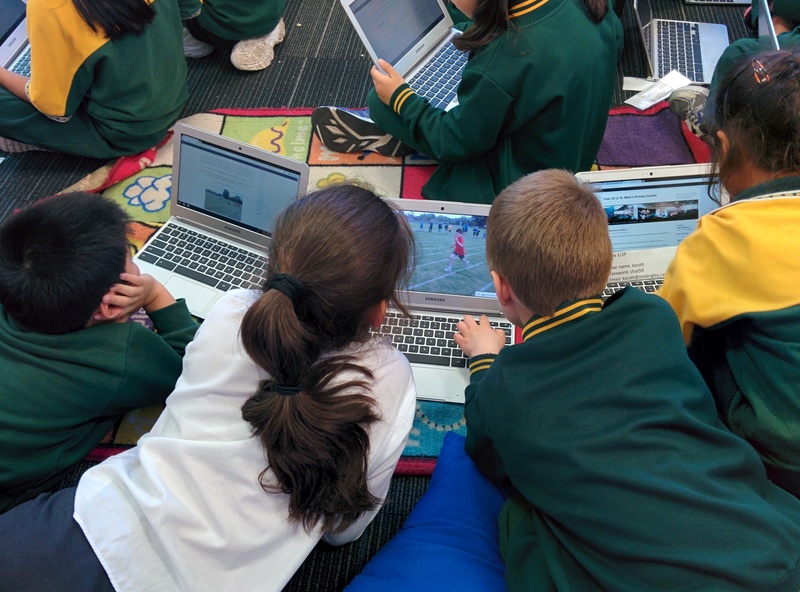 But Chromebooks are not only limited to Google Apps products. Through the Chrome Web Store, web apps and browser extensions can be installed to increase productivity, with a bevy of apps and extensions that can enhance the technology experience for teachers and students who use Chromebooks in the classroom. Moreover, as a fully fledged web browser, a user is only limited by their imagination when it comes to tapping into any pocket of the vast World Wide Web. 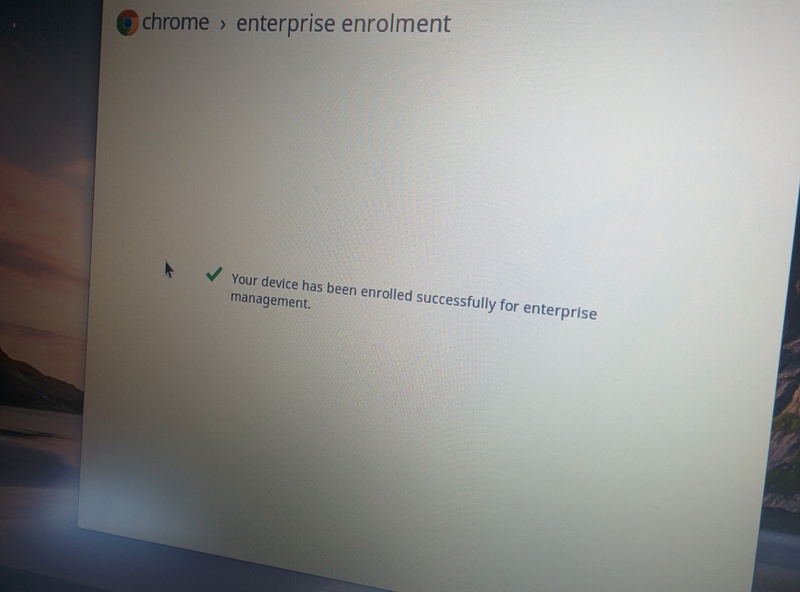 Upon opening the lid of a Chromebook it boots up in seconds and prompts the user to log in with an associated Google account. Once connected the device automatically sets up the user’s profile and synchronizes the preferences, apps, bookmarks, and Drive data. (The system is even more speedy when returning from sleep mode from the closure of the lid, resuming almost instantaneously). Within moments anyone can be surfing the web, authoring Docs, or checking emails. Speed and simplicity at it’s best, having a Chromebook at one’s disposal makes it easier to get on the web and get on with it. 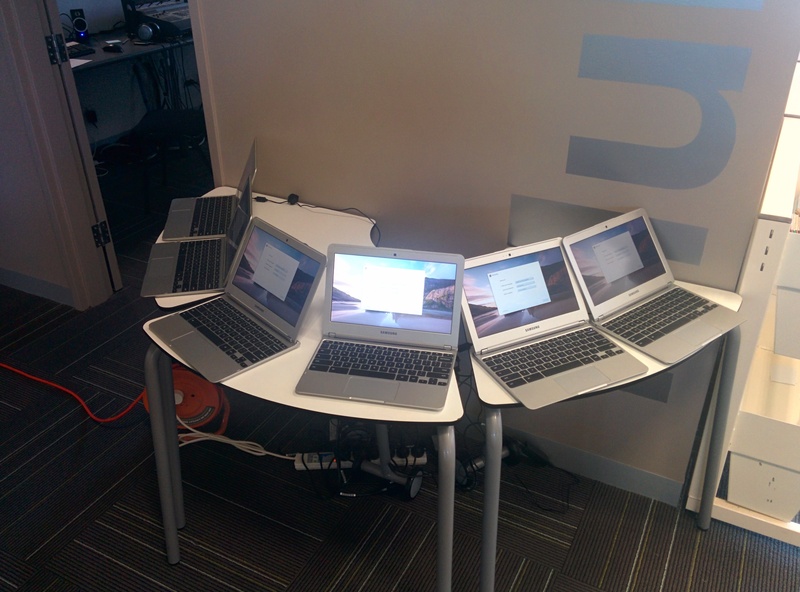 The secret behind the Chromebook is the operating system ChromeOS. Lightweight on resources it doesn’t require massive amounts of CPU cycles of RAM storage to run the laptop or boot from scratch. This means the end user is not paying the price for high end processors and memory storage employed with traditional operating systems. Moreover, battery life figures on Chrome devices are extremely impressive as the device efficiently consumes minimal power on basic hardware in operating modes and in hibernation. As a thin client based on the cloud model, massive amounts of hard disk drive storage is neither required nor warranted. All Chromebooks come with minimal amounts of solid state drive space for any local files or downloads, as the whole ideology of using a Chromebook is to utilise cloud storage. All of this “down specced” hardware equates to a lean package which means that Chromebooks are incredibly light-weight and portable machines. And considering that there are no licensing fees to pay for neither operating system nor office tools, it means that the device also becomes extremely affordable. Updates occur automatically, don’t break the internet, and won’t take seemingly forever to install. A quick reboot when the update is ready and the user is running the most recent version of ChromeOS, which continues to improve in performance, functionality and security over time. The Chromebook doesn’t come without it’s perceived caveats and limitations. It doesn’t run Microsoft Silverlight web applications, which some rich web interfaces require. It doesn’t run legacy software, or premier multimedia suites. However, what developers are currently achieving through a web browser using HTML5 standards of late has been very impressive and is continuing to improve. Want to edit and produce that video on the Chromebook? Install the free WeVideo web app and edit your film in the cloud. What about editing that image with multiple layers? Install the free Pixlr web app and import your images directly from any location. All in all, Chromebooks are an extremely affordable option as a purchased computing device, but also in the upkeep and management of the device. There are no setup times or imaging requirements. Google support most Chromebooks for up to 5 years with free ChromeOS updates. There is no need to automate backups of files. For this reason, Chromebooks have been a hit with school deployments as they don’t require extensive IT departments to support and manage each device. To deploy technology across a classroom, school or even sector, computing devices need to be simple, manageable and secure. Chromebooks make this ideal. Administrators can make changes to a whole fleet of Chromebooks through a web-based console without even having the device physically present. Teachers can share them throughout the class, under individual student logins, for each session. Schools can set the appropriate measures for accessing content, and design the user experience with pre-determined bookmarks and apps. With reduced overhead costs, Chromebooks are a cost-effective option to deploy technology at scale. Many schools are releasing this as an affordable option for closing the technology-equity gap whilst promoting the kind of rich digital learning that we all believe in.